Many businesses are wasting money when it comes to their G Suite licences, because they don’t do a period account check-up. For instance, one of the most common and significant situations is when the offboarding of ex-employees is not done correctly. As an outside partner, we often see ex-employees still in the G suite admin console. The password was reset when the employee left, but there may still be important emails or data in Drive that the business needs access to, so the account is left there. The account is set to ‘suspended’, but people don’t realise that you still continue paying even if the account is not active. They don’t know what to do with the data. It may be needed in the future, and since they don’t know how to archive it, the account stays open. To clean-up your list, the first step is to analyse your G suite accounts. If you don’t have many accounts, you can do this easily from the G Suite admin console. However, if the list is long, it’s best to export the user account information into a spreadsheet to sort and analyse. This way, when you’re running an analysis on all your users, you can determine which ones can be deleted based on these 4 parameters. For instance, the ones that will determine if the account is still active or not, are Status & Last sign-in. Once you have a list of users to remove from G Suite, you can go ahead and delete them. Still, you may want to archive their data first using Google Takeout. Another mistake we see quite often is that there are paid G suite email accounts set up for generic email addresses (e.g info@domainname or sales@), that only need to have emails sent to specific people. First, this means an additional licence cost for the account. Second, this is an inefficient way of viewing and replying to emails, as it requires opening a new tab in your browser (or inbox in your mail client) to be open and viewed regularly. The better option could be to delete this generic G Suite account and create a free Google Group or Email Alias instead. If the email address only needs to be accessed by one person, then it’s best to set up an email alias under the receiver’s email account. For instance, sales@onsitehelper would be an alias of stan@onsitehelper.com as Stan is the only one dealing with sales emails. If the email needs to be delivered to multiple people, then you need to set up a Google Group. E.g create a Google Group for helpdesk@onsitehelper.com to have emails forwarded to Bostjan@onsitehelper.com and Swapneel@onsitehelper.com. If you have multiple G Suite accounts, it’s best to analyse them using the export to spreadsheet as mentioned above. Addon domains in G Suite allow you to have an additional domain name in your G Suite account. This means you can assign new email addresses to it or link aliases from an existing domain name email address. This method can have significant cost savings compared to registering and setting up a completely new G Suite account for that business name. It is especially effective when there are staff members who manage all 3 businesses or entities. An example could be an IT support company that also sells VOIP services and domain names. The primary domain could be onsitehelper.com.au with 2 additional entities of voiphelper.com.au & domainhelper.com.au, all within the one G suite account as domain Aliases. This would enable the staff to send and receive emails using all 3 domain email addresses while only paying for the one account per employee. This comes at a third of the cost, compared to having individual G suite accounts with 3 separate emails per employee. Not to mention that managing this would be a nightmare for the staff! One catch to this setup is that, if the business decides to sell off one of the entities, then you may need to set up a separate G Suite account and migrate data out. We call this a G Suite Split and have performed many over the years. For more information about G Suite addon domains click here. As of 2nd of April 2019, Google has changed their pricing. They used to have a 16% discount for businesses that paid annually instead of monthly (flexible licence). Now Google removed this discount so there is no incentive to pay your licence annually. In fact, if you are still on annual payments with Google or a Google partner, you may be losing out if your licences decrease in numbers. This is because you pay 12 months in advance for the licence. For instance, if you start off with 100 G Suite basic licences and the business downsizes after 6 months by 20 staff members, you would be wasting $5,040! You would have to wait until the annual renewal date to adjust your licences down to 80. Had you been on flexible payments you would reduce your licences down to 80 right away and only pay for 80 licences per month going forward. Many businesses tend to go for the cheapest G Suite licence costs (at least at first), which is the G Suite basic licence. However, what they might not realise is that the next level of licences can provide great value to the business and savings in other ways, if done right. An example of this is the issue of running out of storage space. Although 30GB may seem like a lot for email, it is often not enough when it comes to Google Drive data. When businesses reach their limit the cost to increase storage is quite significant. So, G Suite Business, which gives all users unlimited Drive storage (or 1 TB if 4 or fewer users), starts to look much more attractive. Team Drives improves efficiency with file storage, management & security. Helping to prevent confidential data from being leaked. Google Vault is a safeguard for all your files and emails in case you ever need to retrieve them. 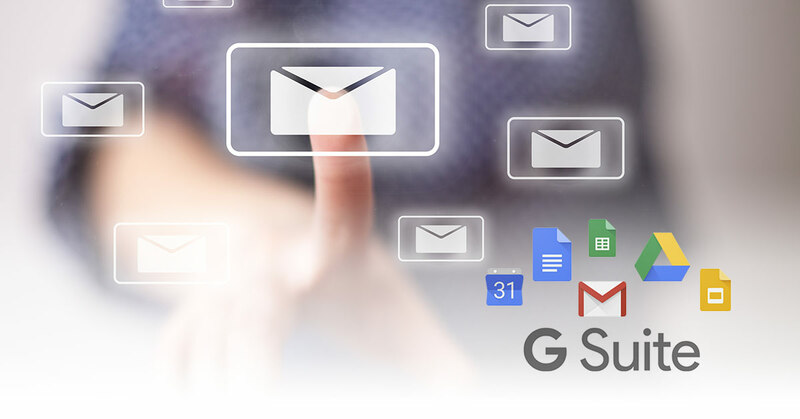 Save hundreds of hours in finding what you need across all the G suite accounts! Drive File Stream will give you easy access to all your company data in an easy access method staff are used to, but it won’t fill up your hard drives, extending the life of your computers. Bonus Tip: Use the Drive Backup & Sync application to backup all your computer hard drives to Google. This way, you replace the current local and offsite backup solutions, which is likely to bring even more savings. Google also often has special offers for existing or new G Suite accounts to move to G Suite Business or Enterprise. Upgrade from Basic to Business and get 30% off for 24 months of your licence. This is a saving of $135 per licence for the next 24 months.